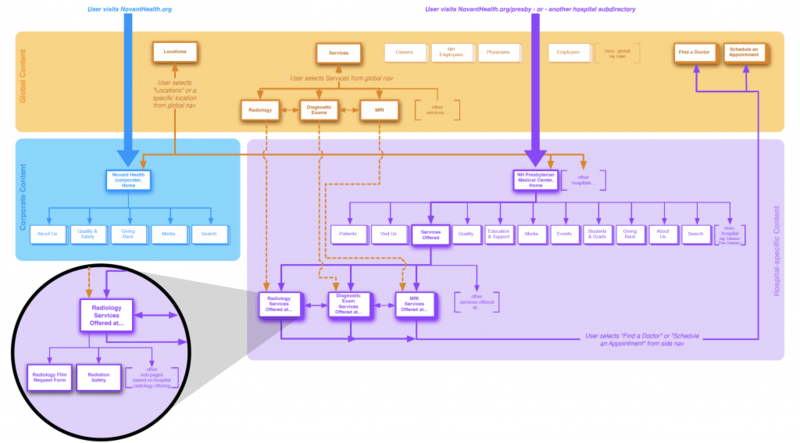 This project created a unified information architecture (IA) for Novant Health, a hospital system spanning North Carolina, South Carolina, and Virginia. 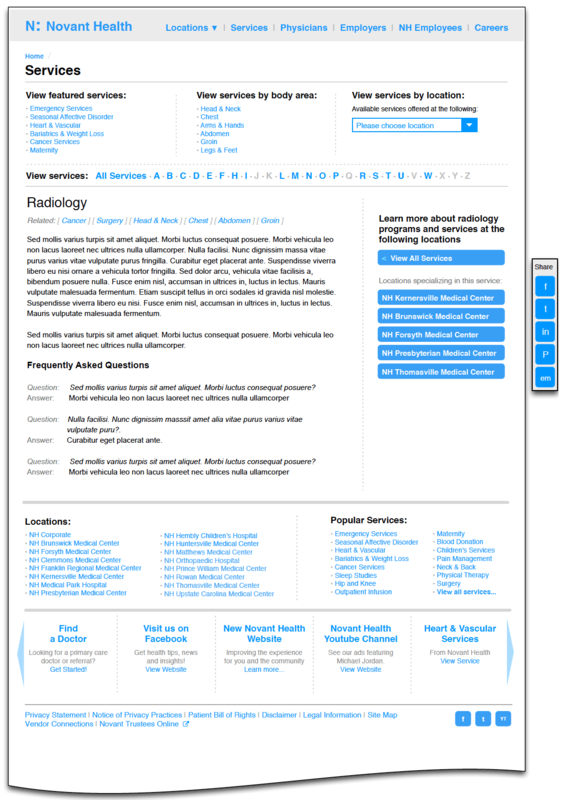 Prior to the project, Novant Health had managed 20+ separate hospital and medical center websites. The new IA maximized the efficiencies of a single website, while still addressing the unique needs of the various properties. 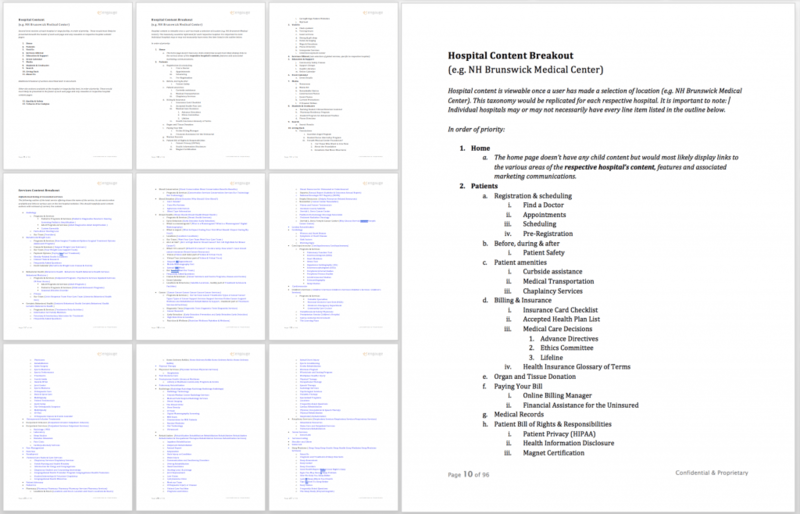 Taking account of every section of every hospital site, the team created a detailed taxonomy (an outline of all features). 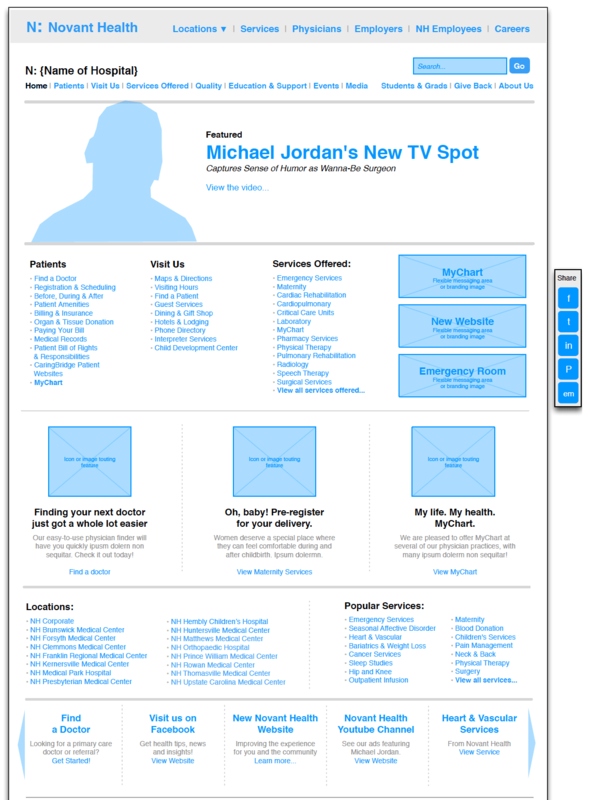 Upon completion of the taxonomy, we created a detailed set of supporting wireframes. Hospital items covered information about the individual locations and facilities. Directly addressed user needs of patients, visitors, doctors, employees, job seekers, investors, and members of the media. Increased the opportunities to market and merchandise content across the website, opening avenues for increased event and social marketing efforts. Improved the user experience of key functional areas, including Maps & Directions, Find a Doctor, Send a Message, ER Wait Times, Pre-Registration, Contact Us, and Events. 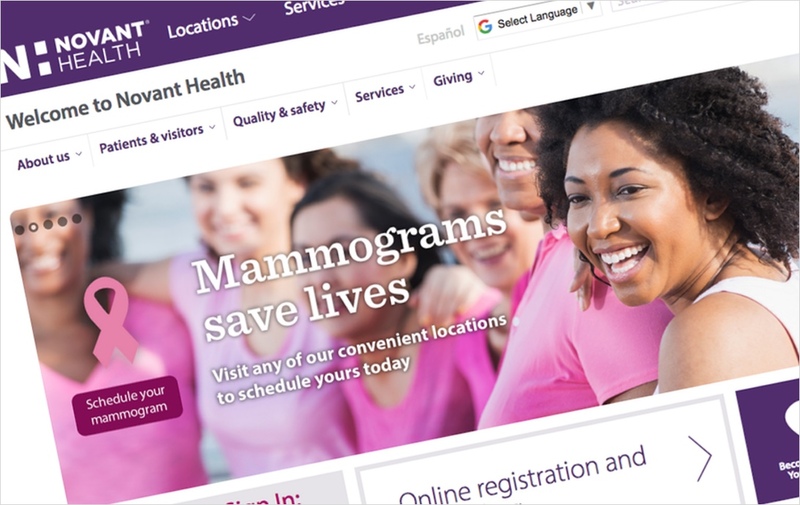 The website has continued to evolve since launch, as Novant Health introduces new facilities, services and content. The comprehensive IA has served as its armature, furthering both systemization and versatility.